Preliminary work is "happening right now", according to Chris Lewis, because they "have to" constantly think about the next thing. 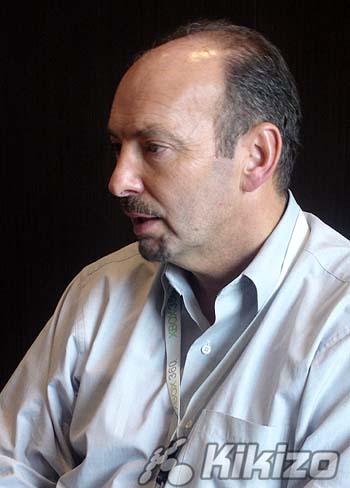 In two recent video interviews published on Kikizo with Xbox bosses Peter Moore and Chris Lewis, Microsoft has offered its thoughts on topics including the imminent movie format war, its position going into the PS3 launch window, and surprisingly, the next Xbox - admitting that work is "happening right now". Asked whether preliminary work had begun on the next, next-gen, Lewis nodded in agreement with the view that "as soon as you develop something, it's old", and said: "Of course we're thinking about that... we're constantly thinking about the next thing, we have to. It's my point about complacency - you can't sit back on your laurels in this business - the consumer won't let you, the developers certainly won't let us. So that's happening right now." He went on: "We keep our development cycles very fast and high, that is the nature of the company and how we operate in terms of research and development, and that's no different than any other part of Microsoft. "You'll see more over time - certainly we're not talking about the next version yet, so give us a chance to catch a breath, will you?" 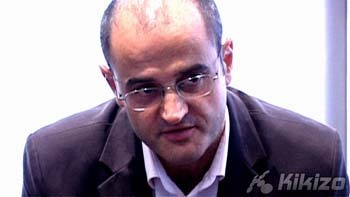 However, Lewis stressed that he thinks the lifecycle of 360 will be longer than that of Xbox 1 - which would mean 360 will be hot right into 2010 - and added that 360's design is inherently customisable: "We want to give people the chance to continue to expand - either through accessories or storage, or the Live which continually evolves and broadens - 360 can evolve in its own right, and that's an important step that we took beyond [Xbox 1]." Peter Moore, meanwhile, thinks that the uptake of next-generation movies is going to be slow, mostly because to see the difference between current DVDs and the next-generation ones, you essentially need to have a big-screen TV, and those are still inching into homes around the world. He also reconfirmed that there are no plans for the HD DVD drive to be used for games, as rumours that recently flared up have again speculated. Far more important is for Microsoft to build on the strong opening of Xbox 360. The PlayStation 3 is due from this November, and Sony and Microsoft will be vying more and more exclusive thirdparty content. Moore refused to comment directly on the complicated process of securing exclusives, saying only that companies will be looking to make as much money as possible, and that means supporting the market leader. However, Microsoft is still confident that its strategy is a winning one, regardless of what Sony is doing. Chris Lewis said: "Were we to built our plans around an assumptive launch date for PS3, that would have been a very dangerous thing to do. "I don't want to sound complacent, because actually we're a really paranoid organisation; we'll always worry and we'll always push harder and keep trying - that will never change. But... I actually feel very good about the direction we're going in... it all feels right to me, whether we're up alongside Sony in the market or not." Moore also touched briefly on the collaboration between Microsoft and Peter Jackson. The two are working on two new interactive entertainment properties, one of which is set in the Halo universe. "I can't think of anybody better than Peter Jackson for trying to take a fresh look at what we're doing," Moore said of the new project. "Don't mock us for trying to do something different with one of the world's greatest storytellers." Lewis added: "I genuinely think that's going to open up some incredible new chapters for us." Watch the full, extensive video interviews via the links below.